Performs three functions to aid in the leak testing of radiators (1) raises the pH to neutralize acid, (2) drops-out solids to keep water clear, (3) introduces a safe fluorescent dye to amplify light around air bubbles. 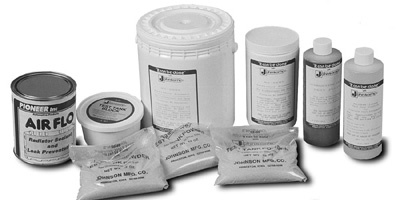 This is a convenient, solid form of Johnson's Test Tank Powder. Safe for testing Aluminum Radiators.